Please note pool will be cleaned Monday. Showings held until Friday 4/19/19. MLS#3496311. EXP REALTY LLC. Oberbeck Farm - Every detail of this house is top notch and move-in-ready! MLS#3496643. Cottingham Chalk. Falconbridge - Close to shopping, restaurants and I-485. MOVE IN READY! MLS#3492806. Scarlett Real Estate, LLC. Great schools, easy access to I-485 and short distance to shopping and restaurants. MLS#3485801. HM Properties. This low-maintenance home has new roof, newly painted exterior and comes with a one-year home warranty from America’s Preferred Home Warranty Company. MLS#3496856. Southern Home Group LLC. Pointe At Oakdale - close to airport, minutes to downtown ,all HWY,s great location! Hurry will not last ! MLS#3496244. Real Living Carolinas Real Estate. Amity Gardens - Make an appointment today, see for yourself! MLS#3496890. Coldwell Banker Residential Brokerage. 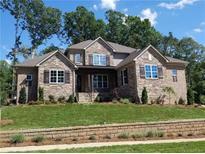 Long Creek - This amazing home is also close to 485, the White Water Center, Charlotte airport, and North Lake Mall. MLS#3488243. Allen Tate Steele Creek. 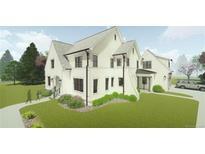 Devonshire - Will not last long, schedule your showing today! MLS#3486886. Carod Properties. Only accepting Conventional or cash offers at this moment MLS#3496611. Prestige Brokers Real Estate. Windsor Forest - Row of trees make backyard very private. Deck. MLS#3496488. Charlotte Area Homes Inc.
Forest Pond - This is an AS IS sale, so if you are looking for a project this may be the one for you! MLS#3496948. T. R. Lawing Realty, Inc..
All this on one of the largest lots in the neighborhood! MLS#3496917. Austin Banks Real Estate Company LLC. You will be impressed with this floor plan as well as the large tranquil backyard, just in time for great outdoor gatherings to start off the Spring season! MLS#3496388. Keller Williams University City. Current photos are of home prior to the current occupant moving in. MLS#3491899. Realty ONE Group Select. Home comes with a 30-day buyback guarantee. Terms and conditions apply. MLS#3496259. Opendoor Brokerage LLC. Put your touch on this home to make it your own. MLS#3495909. Keller Williams Ballantyne Area. Other features include a front porch and rear fenced in back yard with outdoor storage shed. Show and Sell!! ! MLS#3493029. Dillahunt Realty. The large kitchen allows for a large eat-in table. MLS#3496713. Better Real Estate Carolinas. Book your showing today before this one goes under contract! MLS#3497143. Austin Banks Real Estate Company LLC. A 3 bedroom fixer upper home located in Lincoln Heights community,in Charlotte Mecklenburg school system. MLS#3497235. Sellstate Exclusive Realty.